Computer software engineering is the application of the principles of computer science to the design, development, testing, and evaluation of the software and systems that make computers work. 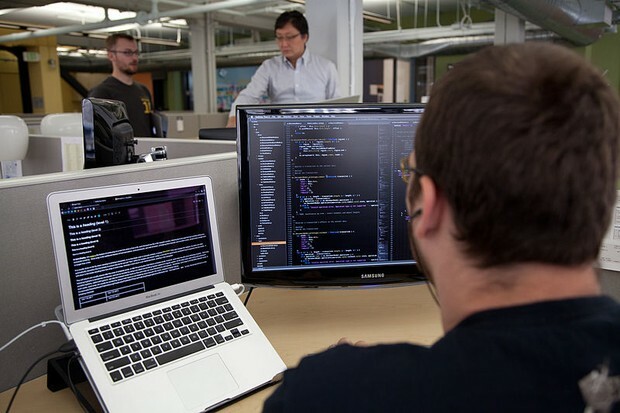 Computer software engineers analyze and develop software fitting the users’ needs. They often work as a team that designs new hardware, software, and systems. Most software engineers work up to 40 hours per week. They work in offices, and most of the work is done during normal hours, but sometimes they work away or late and during weekends. Computer software engineers can also work at home or anywhere a computer is set up.